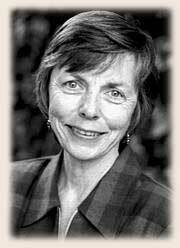 Kate Clancy is the Director of the Wallace Institute for Alternative Agriculture. Before joining the Institute 3 years ago, she had spent 15 years on the faculty of the Department of Nutrition and Food Service Management at Syracuse University. Clancy spoke about the 3 major health and nutrition problems in the world, taken from an article, "Underfed and Overfed," which appeared in Issue #150 of WorldWatch. These problems are lack of calories, lack of micronutrients, and overeating. She feels that iron is the biggest micronutrient problem and that most micronutrient lack is due to little variety in the diet. Clancy stated that obesity in essence is caused by nutritional transition. She said that anyone who moves to a city will increase his/her consumption of sweets by 100 percent, no matter the level of income or physical activity. There is also a higher intake of fats and meat. When traditional people come as immigrants to the U.S. and start to make money, they experience a change of diet and in the process, often lose their health. She notes that in China during a four-year period, the number of people eating a high-fat diet went from 23% to 67%. Another factor in diet change is the changing role of women. When women work out of the home, there is often a lessened focus on food. She feels it is important to encourage the return to or retention of traditional diets. Clancy cites poverty as being responsible for a lack of calories, or malnutrition. She says this is basically due to poor people lacking access to land. She believes there is plenty of food being produced in the world now and the real problem is to defeat poverty. She thinks the answer to this is to create farming and marketing systems which are rooted in the community. Because small-scale, or traditional, agriculture is labor-intensive, these systems will provide jobs, produce fresh food for market and also create raw materials for value-added products. 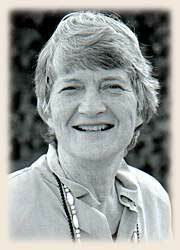 Joan Dye Gussow is the Mary Swartz Rose professor emeritus of nutrition and education at Teachers College, Columbia University, where she formerly headed the Department of Nutrition Education. Gussow reminisced about meeting John Jeavons in Palo Alto and watching the food being weighed at the garden there. She said she appreciates the work that Ecology Action has done so that others can know nutritional facts about food, such as the fact that a nutritionally complete diet can be grown in a very small area. She noted that adequate calories are the most difficult nutritional element to grow in a small area, as is vegetable oil. Gussow has spent the last 5 years growing vegetables on 990 square feet and says that she grows many more vegetables than she can eat. She plans to intensify her production so that she can also grow food for the soil. Gussow feels that our planet is showing signs of terminal illness and that the current global food system is not sustainable. Food travels great distances and is tasteless, but most American consumers do not know this because they have lost their sense of taste. She believes that things will have to change, and that when they do, Americans and people in other developed countries will have the hardest time adjusting. Encourage people to garden. People who garden will change their diet. There should be a signal that will turn off the TV and on the screen place a sign saying, "Think." It is important to teach gardening in schools, not only how to grow food, but how to cook it.